May is going to be a busy month! Our time will be spent discussing the Environment, Spring and Mother’s Day. We have some special activities planned this month. The Carstairs Playschool has planned a special Mother’s Day surprise. On May 8 & 9th all classes will be preparing it for their mom’s or someone special. We ask that each child bring in $5 to help cover the cost. Funds can be cash, cheque or email transfer to carstairsplayschool@gmail.com. The Carstairs Playschool Society is so excited to announce that we have arranged for a school bus to visit the playschool on May 29 & 30! Each class will get the opportunity to experience what it is like to ride the school bus. The kids will load onto the bus at 8:45am for morning classes and 12:30pm for afternoon classes. They will chat with bus driver, Mrs. Franca Young, and go for a ride. This is very exciting for those children who have never been on a bus and it allows the children who will be riding the bus to kindergarten next year to experience what it will be like for them. Due to licensing, we will need an additional field trip form completed. It will be emailed out in the beginning of May. Please ensure this form is returned. Any student who does not have a signed form, will not be able to participate. The Carstairs Playschool also wanted to let parents know of a wonderful program offered by Chinooks Edge School division, called First Rider. It is a free event that teaches young children, who will be riding for the first time, about school bus safety. After the overwhelming success of our December Parent / Teacher conferences, we decided to offer them again to the 4-year-old parents. Ten minutes appointments are available for May 21st 4:00-7:45 and May 24th 12:00-4:45. Time slots can be scheduled on the Carstairs Playschool Society Facebook page. Please note, due to limitations with in the scheduling page, please ensure you are selecting the correct dates. Depending on demand, additional times may be added. For any 3-year old parents, wishing to meet with Mrs. Gerle, please let us know and we will arrange an alternative time. For the past several years, the Carstairs Playschool Society has sent out a survey for parent feedback. Results of this survey are used to gauge if the playschool is meeting the expectations parents have and any areas of focus to improve on. This year surveys will be sent home the first week of May. We ask that you please complete and return by May 24th. There is a form drop off slot on the wall by the shoe cubby for your use. Alternatively, you can return your survey directly to the office administrator by contacting Gail at 403 999 8275. Returned surveys are kept confidential. Results are compiled and presented to the board of directors by the office administrator. The Carstairs Playschool board asks that you please ensure you are able to pick your child up on time. Staff have a very short break between classes before they need to start preparing for the next class. If you are going to be late, please call or text 403 816 1481. We have received several questions regarding graduation and last day of classes. For the Monday/Wednesday classes graduation will be June 17th. Tuesday/Thursday class graduations will be June 18th. The last day of school for the Monday/Wednesday class will be June 19th and June 20th for the Tuesday/Thursday classes. Details outline both graduation and year end parties will be sent out in our June newsletter. If you have any questions for the Board of Directors, please email carstairsplayschoolboard@gmail.com. Any questions for Mrs. Gerle, can be emailed to carstairsplayschoolteacher@gmail.com. 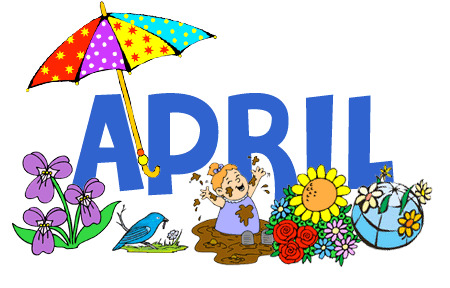 For the month of April our activities, books and discussions will be focused on Musical Instruments, Easter, Earth Day and the Environment. The Easter parties will be on Wednesday, April 17th and Thursday, April 18th. We are asking children to please bring two hard-boiled eggs to be colored during their craft time. The class will be following the regular class routine. Your child will still require a snack however, we will be providing a small treat. During these themes, we will be discussing the importance of recycling. On Monday, April 29th, and Tuesday, April 30th we will be focusing on Earth Day, which includes a walking trip to the recycling center. Please bring one, small recyclable item to play school on these days for your child to recycle. Suggested items can be cardboard, newspaper, plastic container, but please no tin cans. The edges are just too sharp, and we do not want to see any injuries. Environment will be the topic on Wednesday, May 1st, and Thursday, May 2nd. On these days, the class will be walking to the Carstairs bottle depot. Please send one recyclable item, such as a juice box or water bottle, for your child to recycle and receive money back. Over the past couple of months, Michelle and I have noticed an increase in the number of toys children are bringing to playschool. In three separate instants, the children have not been able to find their toy at the end of the day to take home. Because of the distress this causes, Michelle and I are asking that you please DO NOT allow your child to bring their toys from home unless it is their show and share day. You can find your child’s show and share day on the calendar that is sent out every month. We also ask that each child only bring ONE item for show and share so that both children have an equal opportunity to share their toys with the class. As always, if your child misses their show and share day, they are more than welcome to bring something to share with us during their next playschool day. We thank you for your understanding in this matter. The Carstairs Playschool Society spring fundraiser kicks off on April 1st and is due back April 11th. For this fundraiser we have choose three different sources. Firstly, back by popular demand, Kernels popcorn. Kernels offers individual sized bag of popcorn in 8 different flavours, great for lunches or quick snacks. Secondly, is Growing Smiles fundraising. We choose them for their hanging flower baskets, which will be here in time for Mother’s Day. They make the perfect gift. Our third source is Vessey Seeds. They were chosen due to the 50% profit and their wide variety of seeds and bulbs. They will be received in mid or late May, just time for spring planting. Profits of this fundraiser will go towards developing a reading nook within the playschool space. This area will be utilized during free play time and as the children finish snack, they will be encouraged to go to this area to look at books until all children have finished eating. On Friday, April 5th, Michelle and I will be spending the day doing some spring cleaning. If anyone on is interested in lending a helping hand it would be appreciated. Unfortunately, children will not be able to accompany due to the cleaning products that will be present. If you can help, we will be starting at 10 am, but feel free to drop by at any time as it will be an all-day project. As most of you know, the Carstairs Playschool Society is run by a group of dedicated volunteers. If you have any interest on how the board works, please feel free to stop by one of the monthly meetings. With the various board positions, you can choose your level of involvement or take no position at all and just be a member at large. The board is always looking for parental involvement and/or feedback. The positions and descriptions can be found on the website at www.carstairsplayschool.net. Should you have any questions, email Janene at carstairsplayschoolboard@gmail.com. Sadly, there are less than 20 days left for each class. Our time together has quickly flown by. I am looking forward to making the most of our days left and this beautiful spring weather. If you have any questions or concerns, please feel free to discuss them with myself or Michelle, or you can email me at carstairsplayschoolteacher@gmail.net.